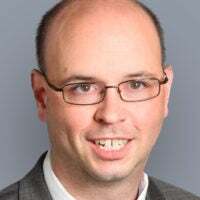 MANCHESTER, N.H.–Eight months ago, David Bates was part of an uprising of conservatives in New Hampshire’s House of Representatives that stalled the state budget process until the legislators could reach a more fiscally responsible standard. “We want to focus on education choice and shift to more conservative fiscal policies,” Rep. J.R. Hoell says. Now Bates, R-Windham, is among several lawmakers in the state’s House Freedom Caucus who are moving from thorn in the leadership’s side to actual leadership during the legislative session that begins in January. New Hampshire House Speaker Gene G. Chandler, R-Bartlett, announced last week that Bates and other members of the House Freedom Caucus would be part of his leadership team. The newly minted speaker made Bates an assistant majority whip and co-chairman of a new, 13-member policy advisory committee. “Speaker Chandler said he wanted to unite the Republican caucus and include all voices, and he’s demonstrating he was serious about that,” Bates said. The conservative and libertarian group of lawmakers includes about 35 members who regularly show up for meetings. A total of 65 lawmakers have some allegiance to the caucus and “vote the right way,” said state Rep. J.R. Hoell, R-Dunbarton, a group founder. “This shows the importance of getting a group of like-minded conservatives together,” Hoell told The Daily Signal in a phone interview. The New Hampshire House is the largest legislature in the United States with 400 members, each representing about 3,500 residents. It currently includes 218 Republicans, 175 Democrats, and three Libertarians, plus three vacancies. Chandler also named other freedom caucus members to leadership roles: Rep. Greg Hill, R-Northfield, became an assistant majority whip; Rep. Andrew Renzullo, R-Hudson, became floor leader; and Rep. Victoria Sullivan, R-Manchester, became an assistant majority leader. Gov. Chris Sununu is a Republican and the GOP controls the state Senate, so conservative legislation that gets a push is likely to be enacted. Bates said the Freedom Caucus doesn’t regularly meet and “isn’t a functioning caucus, per se,” but added that he fully expects the lawmakers to cooperate on issues. The group works week to week and issue to issue, said state Rep. Dave Testerman, R-Merrimack, a member. 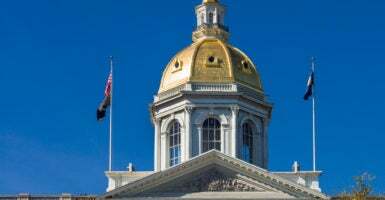 Testerman said another issue to make New Hampshire more competitive is a right-to-work law, which would do away with compulsory union membership. He said the previous leadership missed an opportunity.